Previous Post: Does "Smart" Make Sense? DemTools are a set of open-source solutions developed by NDI’s Technology for Democracy team (NDItech) to address some of democracy’s most common problems. The tools, which were released in August to NDI partners, the development community and general public, focus on scalability – providing advanced technologies to make their work more effective, while reducing maintenance and sustainability burdens. NDI recently received a renewed National Endowment for Democracy (NED) grant for the continued development and expansion of DemTools. In deciding where and how to allocate these funds, we reviewed current features and updated our roadmap for product development and version release timelines. 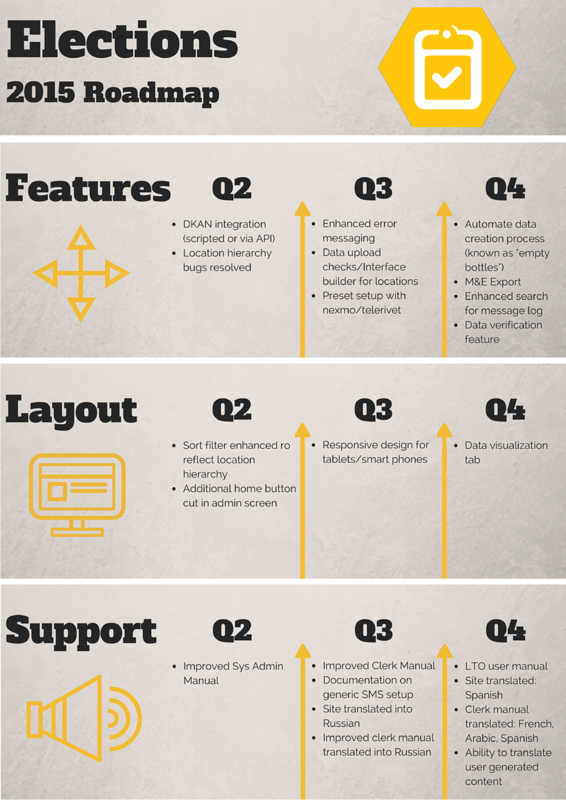 We determined that better support, enhanced multilingual capacity and increased usability were priorities across all of the tools. Product roadmaps exist at the nexus of supply and demand. DemTools are developed on limited resources, but meet myriad needs. For these tools to remain sustainable yet relevant, we need to navigate carefully a winding road, ignoring diversions and prioritizing needs that provide the most value to our users. To keep our tools nimble and ensure cost effectiveness, NDItech worked to fine tune our product vision: Who are we developing for? What needs are the tools addressing? What value do they bring to our programs and partners? For weeks, our team had poster boards with sticky notes floating around, stuck to walls and taped to the side of cabinets. As we progressed, ideas turned from sticky notes to formal documents. 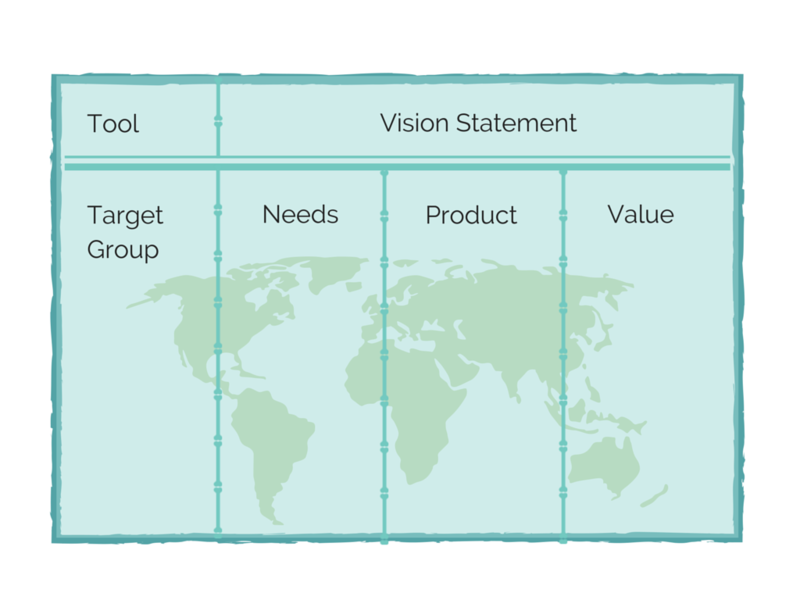 The vision board is the frame we use to create our product roadmap. It allows us to focus our efforts and gain clarity in goals. As we underwent an intensive review, we were better able to triage features, prioritizing them based on relevance to our users’ needs, as well as financial and technical costs. As we better understood the gaps between our vision for the tools and how they function in practice, and looked closely at stakeholder feedback and user reviews, a plan began to take shape with a renewed vision: DemTools 2.0. We reviewed all potential development options, took a hard look at funding sources, and cut zealously any work that wasn’t central to our product vision. Three key priorities – better support, enhanced multilingual capacity and increased usability – focused our decisions on what features should be developed over the next three quarters. The end result is a development timeline that will require steadfast focus to execute, but will leave our tools more stable, better supported and better able to meet the challenges of democracy and the needs of our partners in the field. 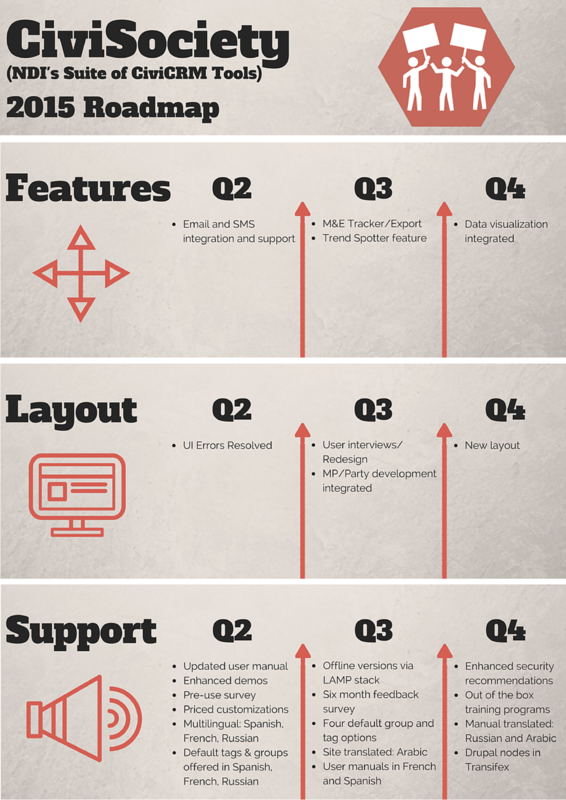 We thank everyone who piloted DemTools and provided feedback on bugs and challenges, for their part in developing a roadmap for DemTools 2.0. 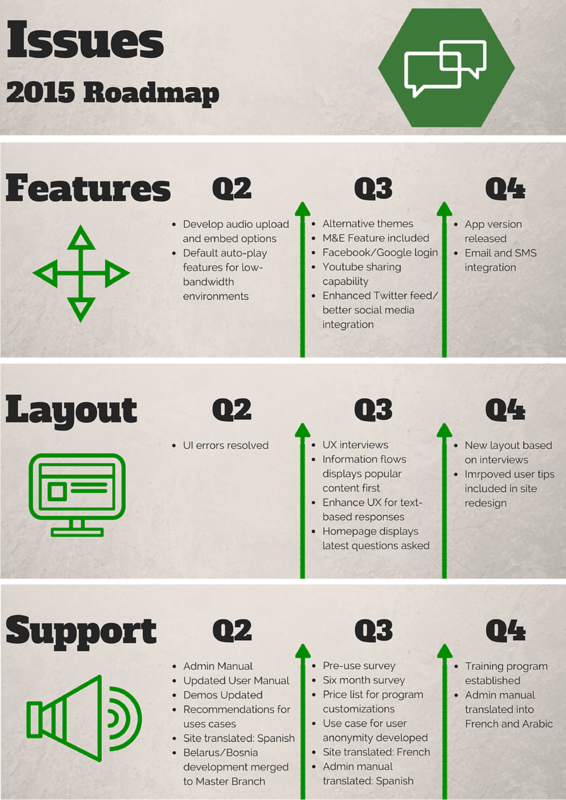 Check out our roadmap infographics for each DemTool and share your feedback with us!